If you want to own a 2GB RAM mobile under 10000 Rs, then Asus Zenfone 5 is one of the best available options for you. A dual micro SIM phone running on the Android 4.3 jelly bean OS, this device packs with 8GB ROM. Additionally, the user can expand the file storage capacity with a 64GB MicroSD card. Asus A501CG is endowed with a back 8 megapixel AF camera with LED flash. For video calling and self-portraits, there’s a 2MP sensor at the front. The phone supports connectivity to GSM, WiFi, Bluetooth and UMTS 3G networks. The phone has a IPS panel installed capacitive touchscreen 5 inches large display with 1280 x 720 pixels resolution, Gorilla glass 3 protection. It can detect 10 fingers touch at a time. Computing in this device is handled by the 1.6 GHz Atom Z2520 processor from Intel. It has a lithium ION 2110 mAh battery, 18 hours of talk-time and around 324 hours of standby time when it’s enabled with a 3G plan. A-GPS and Glonass navigation is supported through this device. With 145 grams of body weight, this mobile comes with music, video player, preloaded apps, games. It is just 10.34 millimeters thick. 1.6 or 1.2 GHz 2 core Intel processor. Support for USB connectivity, 2 SIM cards, and 64GB microSD card. 2GB RAM, 8GB or 16GB storage memory. 3G, GPRS, 2G, WiFi network connectivity support. 720p 5 inch IPS touchscreen display. 2110 mAh lithium ION battery. Talk-time around 17 – 18 hours. Standby time of more than 300 hours. Rear 8 MP auto-focus camera with LED flash. Bluetooth which supports A2DP and EDR profiles. Corning gorilla 3 glass protection. Android 4.4.2 Kit Kat update. Body weight of 145 grams. 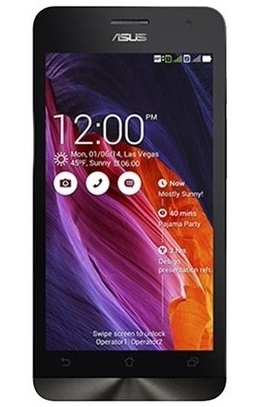 Asus Zenfone 5 price in India: Within 9000 to 10000 Rs on for black colored 16GB version (At the best price). The phone has been discontinued. Please check the best phones under 10000 Rs to get details on top latest Asus mobiles. The user will also get 5GB of free cloud storage space. The specs of Zenfone A501CG are impressive, hence it can be considered a good gaming phone under 10k INR. Asus zenfone is good phone with lots of features in cheap price .Its has features normally found in expensive branded phone so Asus is good choice .i like asus phones with Intel chip inside and with new looks .